With the release of Crash Team Racing Nitro-Fueled fast approaching, Activision revealed some exciting information during todays State of Play. In addition to the title including everything from the original Crash Team Racing, it will also contain the tracks, modes and arenas present in Crash Nitro Kart. While this is not quite the same as adding the original game, it’s close enough to give buyers of Crash Team Racing Nitro-Fueled the full experience of both. Also, if you plan on buying for the PlayStation 4, there will be exclusive content. 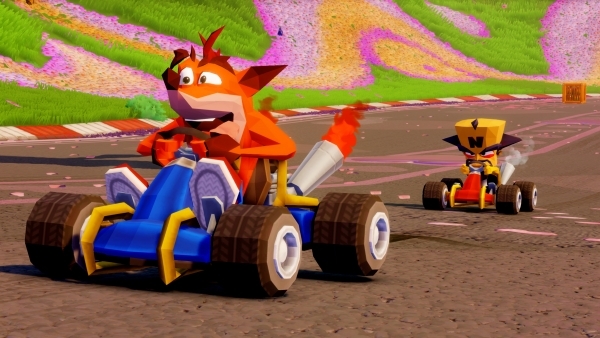 Since the original game released on PlayStation, Crash, Coco and Cortex will get a retro skin, along with retro karts and even a special track. Sadly, the content just looks to be done in the simpler style but still a nice tribute to fans and newcomers alike. Those interested can pick up Crash Team Racing Nitro-Fueled on June 21 for PlayStation 4, Switch and Xbox One.